She takes your breath away every day - now it's your turn! Two dozen sweetly hued roses are displayed in a modern, compact design, perfect for her discerning tastes. 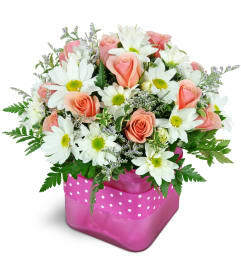 Elegant, impressive, and above all, a perfect way to express your love. 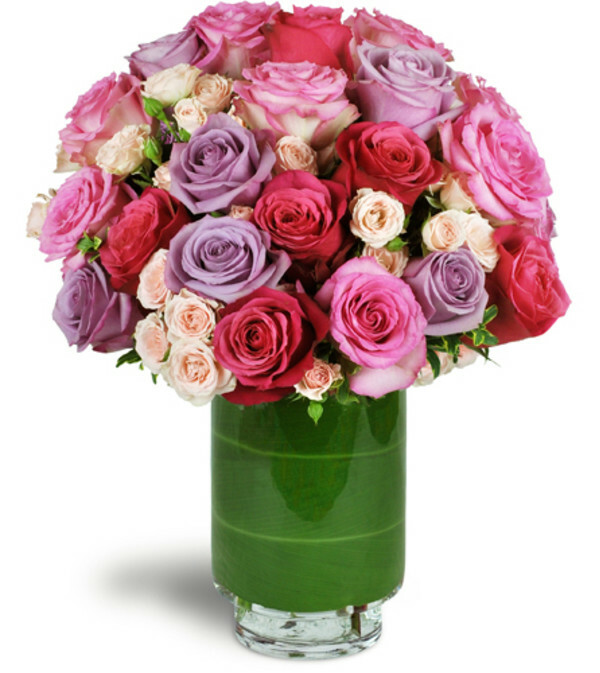 A total of 24 premium roses in fuchsia, pink, and lavender hues are arranged with delicate pink spray roses in a luxury footed glass vase. 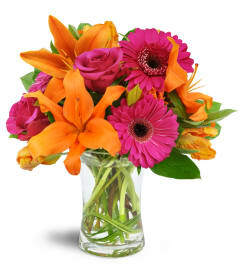 we ordered some flowers for a funeral ,just describing what we wanted over the phone.when we saw the arrangement at the funeral home we were very pleased.It was exactly what we wanted ,so thank you very much.